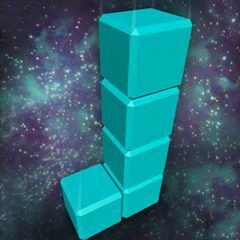 Droptris a block dropper game, where you must guide the falling blocks into lines to score points and get the best time possible. Utilize the 3 unique power-ups to freeze time, remove a line or destroy the falling block to help you get the best score you can. Use your skills, logic and the unique power-ups to get a high score and then challenge your friends to beat it.